Over the coming decades, housing will continue to be transformed from a product into a service. Just like we order an Uber or get noodles delivered to our doorstep without much human interaction, soon we’ll be able to rent, buy, or sell homes nearly instantly with an app. This will be a profound change for the residential real-estate industry, which has historically been a “people-driven” business. It involves many different human jobs in order to make a deal happen—realtors, mortgage brokers and lenders, lawyers, title underwriters, inspectors, management companies—and has been surprisingly resistant to the kind of tech-led “disruption” and automation that has overturned other industries. Several other big trends are at work. Data suggest that, in the aftermath of the housing-led global financial crisis and the widening income gap, homeownership is becoming increasingly unaffordable for many. The US tax-reform package passed in late 2017 is also predicted to encourage the growth of renters by eliminating helpful housing deductions. The construction of new homes has slowed to near-record lows due to a variety of factors, including immigration crackdowns and the rise of tariffs and trade conflicts. And, around the world, homeownership is increasingly out-of-reach for all but the wealthy: The price of a home exceeded the median income in 18 of 33 countries according to the latest figures from the IMF, including the United States, UK, Canada, Australia, New Zealand, Germany, Norway, Sweden, and even smaller nations such as Estonia. In the midst of these changes, tech entrepreneurs and their investors are betting that there’s tremendous opportunity—namely, to make a lot of money off consumers and institutions by making the process of buying, renting, and selling homes far easier, faster, and simpler than it’s ever been. In the US, we’ve seen the rise of what real-estate insiders call “iBuyers.” These companies include the real-estate tech giant Zillow and the brokerage Redfin, as well as lesser-known startups Opendoor, Knock, and Offerpad. 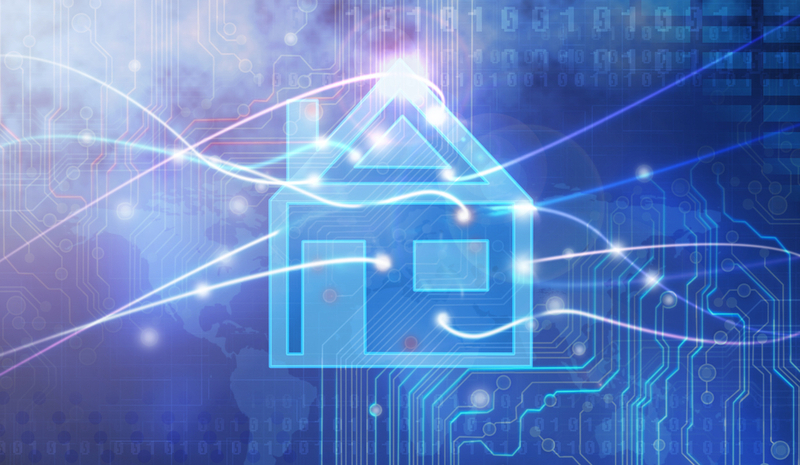 First, they use algorithms (and other technologies) to assign value to homes. Prospective sellers in a few select markets (namely cities with lots of uniform, newish housing stock such as Atlanta, Las Vegas, and Phoenix) can visit the websites or apps of these companies, enter in a few details of their homes, and get an all-cash offer and close in days. The companies then re-list these homes for sale on the open market, hoping to turn a profit. But don’t call them “flippers”: The homes the iBuyers purchase directly from consumers typically are not distressed or in needing of hefty renovations. The goal of these companies to make the process of selling a home so easy and worry-free for consumers—you don’t need to hire an agent, schedule showings and open houses, or finagle over price—that consumers will take a slightly lower price than they could get on the open market. Then, the iBuyers re-list them for slightly more—a slim margin of gain, but at increasingly higher volumes of sales. But what happens in the next downturn, when these companies have a bunch of homes they can’t sell on their books? They might try to rent them out. As a consequence of the affordability crisis, rentership is up in the US and around the globe. While the housing market is cyclical and prices will eventually go down, it’s still not too tough to imagine a future where a good portion—perhaps the majority—of homes are owned and rented out by tech companies. Zillow, for one, recently added tools to make it easy for consumers to apply for rental apartments and pay rent online (though the apartments are owned by third parties). Airbnb and WeWork have already started paving this road. For the last two years, WeWork has been operating its first two “WeLive” flexible rental apartments in Washington, DC and New York City. The apartments function both as hotels, available for booking for one to several nights, or can be rented out at a monthly rate. Airbnb is likewise partnering with Niido, a Miami-based developer, to create co-branded apartment buildings in which the tenants agree to list their units out for short-term rentals. They closely track the data of the people who decide to rent, for how long, and the exact units that are most popular, which allows them to further refine their offerings and make them even more compelling from a price and amenity standpoint. These are somewhat natural moves for companies built on hospitality and leasing. But other major tech companies outside the real-estate space are coming for our homes, too. In the aftermath of Amazon’s purchase of Whole Foods Market, people joked on Twitter about Amazon controlling all of society in the future, from food to housing. That joke is less far-fetched than it seems. Amazon already sells manufactured homes (or prefabs) from third-party vendors. With Amazon steadily expanding the line of “Amazon Basics” products it offers in other departments—like clothing and computer accessories—can an Amazon-branded dwelling be far behind? Even if Amazon doesn’t own homes outright, it’s moving quickly to become the control center of our homes. Earlier this year, the online retailer partnered with Lennar, America’s largest homebuilding company, to equip all of Lennar’s 35,000 planned new houses in 2018 with smart devices controlled by Amazon’s voice-controlled artificial assistant, Alexa. There are already at least an additional 50 million Alexa devices out in the wild. Amazon has also recently acquired Ring, a doorbell and security-camera startup. Apple and Google are well into this race, too. Google has its aptly named Google Home smart speakers and line of Nest smart appliances. The real goal likely isn’t profits, but to capture more and more data about what happens inside our residences so they can better sell us more highly targeted services and products. If any of these tech giants decide to become landlords, it’ll be easy for them to let people come by for showings or engage in short-term rentals: Smart locks can open the door for anyone with the right app code or via facial recognition, and cameras can follow a prospective buyer or tenant’s every move. As tech continues to become a bigger and bigger part of real estate—both in terms of the transaction and the living experience—the lines between renting and buying will likely blur. Think of it is as “housing as a service”: Finding a home, buying or renting it, moving into it, and decorating it to your liking will all get easier, thanks to the previously mentioned wellspring of services and devices that are now being piloted by startups and tech giants alike. You may one day even be able to “subscribe” to a home service that lets you move from a one-bedroom apartment to a single-family home right after you have a child, shifting in time with your needs as a growing young family. But if you can just as easily buy and sell a home as you can apply to rent one online, who’s really in control of our homes—us, or the tech giants we’ve invited in? This story is part of QZ.com What Happens Next, our complete guide to understanding the future. Read more predictions about the Future of Home. "the greatest conference for anyone who works in healthcare"